The Executive Committee consists of seven (7) members who were duly elected by ICAB’s membership at the 27th Annual General Meeting held on August 21, 2014 at the Best Western Biltmore Plaza Hotel, Belize City, Belize. Council is tasked to implement the strategic goals and objective of the Institute and to advance the profession. 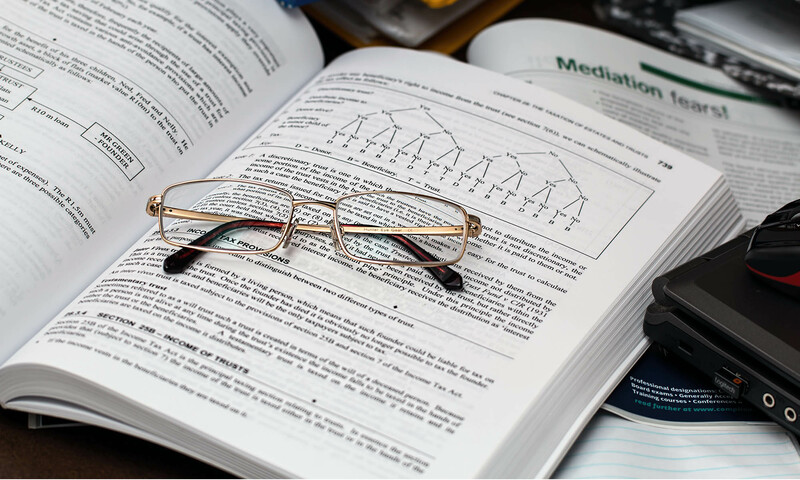 The Tax and Legislative Commitee was established as the technical advisors to the Institute on legislative changes impacting the profession and the business environment. The Committee is also responsible to monitor the Accountancy Profession Act and the Institute’s Bye-laws on an ongoing basis to ensure conformity with International Standards on Professional Code of Conduct and ensure alignment with best practices in the interest of the profession. To consider, review, prepare and where appropriate present recommendations to ICAB’s Council concerning the consequences of current or proposed legislative and government measures which could impact financial reporting, for further action by Council. The Continuing Professional Development (CPD) Committee was established to design, implement and enforce CPD Guidelines of the Institute and to facilitate and encourage the provision of training and development opportunities in collaboration with accredited regional and international bodies and to foster linkages with accredited institutions such as the Association of Chartered Certified Accountants, and the Institute of Chartered Accountants of the Caribbean and other accountancy bodies. Identify opportunities for and enhance the CPD events of the Institute. The Membership and Publicity Committee was established to carry out such activities as necessary to raise the positive public profile of the profession of Accountancy and, thereby enhance the brand ‘Chartered Accountant’ and to promote national, regional and international linkages at all levels. The Committee focuses on opportunities to expand general and student membership and initiates activities aimed at promoting the image of the Institute, maintaining an effective means of information exchange among members via the Secretariat and assisting in promoting the role, responsibility and achievements of the Institute in advancing the interest of the profession through various communication media. Manage all communication media; website; newsletter. 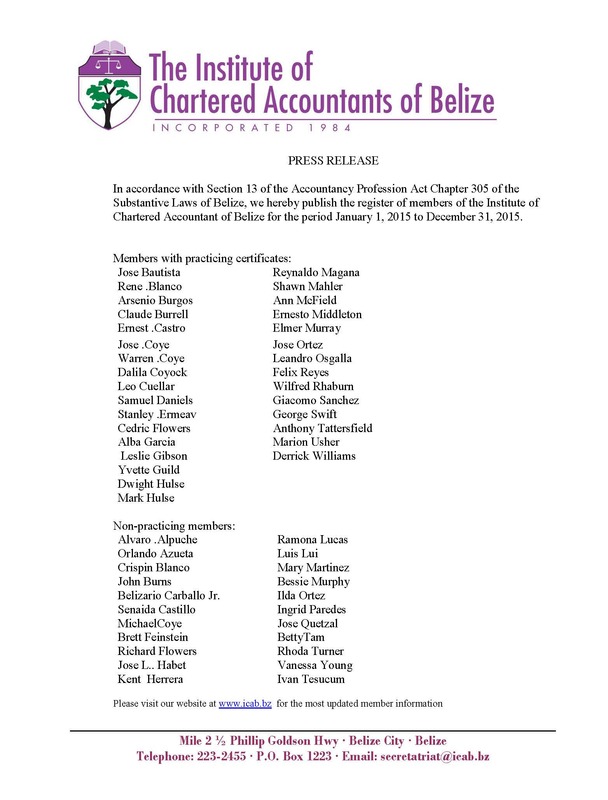 The Institute of Chartered Accountants of Belize (ICAB) is a professional accountant and auditor association offering continuing education and public outreach services. The association also spotlights the industry's strict ethical practices and legal standards to members and the business community. Copyright © 2008 and 2017. All Rights Reserved.